The budget approved Wednesday by the Senate Finance Committee is 2.9 percent bigger than the estimated size of the current two-year budget. It includes about $8.9 billion more than the first draft Senate leaders unveiled in January. The 15 members of the Senate Finance Committee unanimously voted on Wednesday for a $195.5 billion two-year budget that undoes some of the cuts from the 2011 legislative session. The budget, which now heads to the full Senate, is 2.9 percent higher than the estimated size of the current two-year budget, which is $189.9 billion after factoring in extra spending lawmakers are expected to approve later this session. Senate Bill 1 spends $94.1 billion in general revenue, the portion of the budget lawmakers have the most control over. That’s an extra $6.7 billion over the current budget, a 7.7 percent increase. The committee added about $8.9 billion more than the base budget it released in January. SB 1 now includes an extra $1.4 billion for public schools, $746 million for higher education and $207 million for Child Protective Services. Williams said the extra money for schools should support the state’s case in an ongoing school finance lawsuit. The committee also made a concerted push to address how the state tackles mental health issues, allocating $226 million more for mental health and substance abuse services along with an additional $15.2 million dedicated to mental health issues at the Texas Juvenile Justice Department. The budget also spends $850,000 for the Texas adjutant general’s office to hire four mental health counselors focused on the needs of returning veterans. The committee found nearly $100 million in savings by closing two Department of Criminal Justice facilities. Under SB 1, that money is set to go toward various prison system expenses including prisoner health care and parole supervision. No state parks will have to close under the Senate budget, thanks to $35 million in increased funding to the Texas Parks and Wildlife Department, Williams said. An extra $40 million for pre-K programs was drawn into the budget. “It will allow school districts to decide if they want to enrich the program they have for pre-K or if they want to use that money to extend it to a longer day or a full day,” Williams said. Williams said he hoped to have the bill debated on the Senate floor next Wednesday. The House Appropriations Committee is still working on its own budget proposal. There is less than $1 billion between the Senate budget and the constitutional spending limit, Williams said. Senate and House leaders are working on a way to tap the Rainy Day Fund for major initiatives such as funding water infrastructure and road construction without affecting the spending limit. The Legislative Budget Board has said most Rainy Day Fund spending is subject to the limit. It only takes a simple majority to raise the limit but budget writers are concerned that some legislators will be wary of the political ramifications of such a vote, even though they may support the increased spending. Tax relief is also not addressed in the budget but proposals are still being considered, senators said. Most senators on the committee praised Williams for his leadership and endorsed the budget bill. Sen. Royce West, D-Dallas, noted that big issues including whether to expand Medicaid and increase funding for public education remained unresolved. “I’m ready to support his bill but I look at it as a work in progress,” West said. 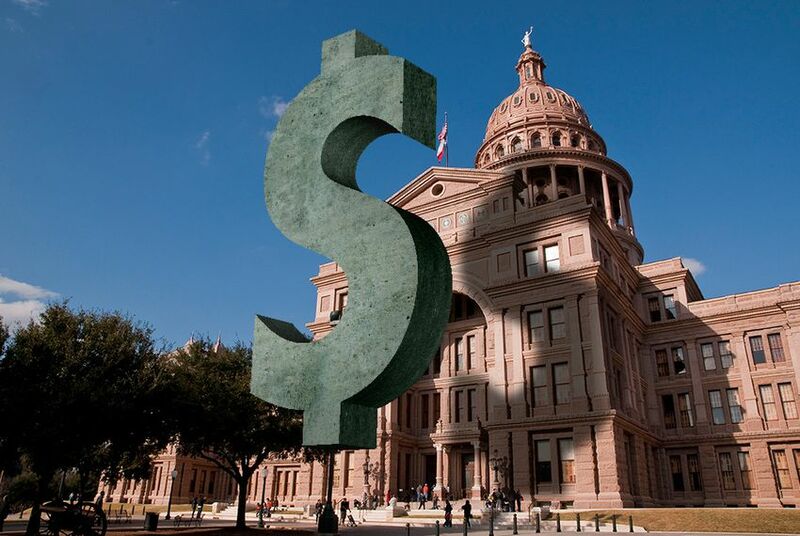 The budget does not include funding for the Cancer Prevention and Research Institute of Texas, which remains embroiled in questions of cronyism. Williams asked committee members how to address $71 million worth of recruitment grants that were awarded before a moratorium was instituted on the agency’s awards. Several senators said they felt CPRIT was justified in moving forward with the grants since the recipients had been notified. Some quit jobs or moved to Texas in response.